I was at work when I noticed what was going down. 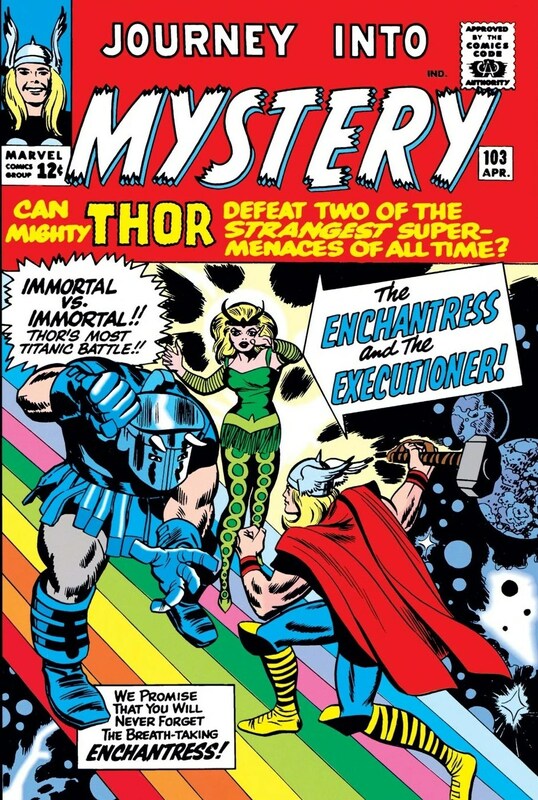 Tuesday was a big day for the studios responsible for your knowledge of Norse mythology. 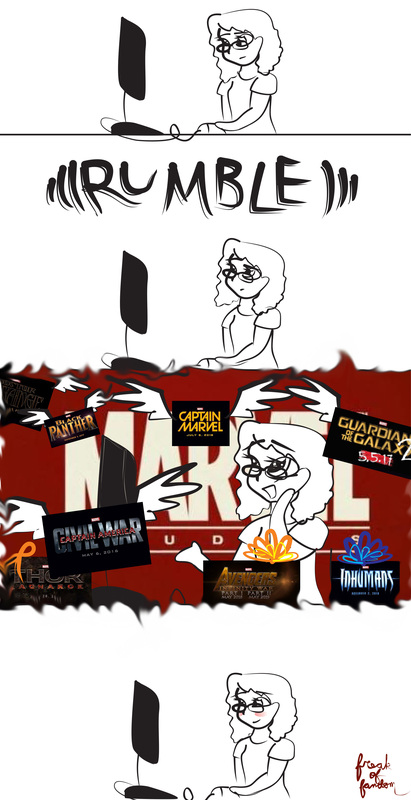 The frankly unsettling amount of Marvel news unleashed yesterday hit the internet like a SHIELD helicarrier into the New York bay, so I feel you are all likely to know what I’m pleased about right now. However, that’s totally not going to stop me from setting up a quick recap. In addition to all that jazz, we have a few casting announcements, most notably that of Chadwick Boseman playing the Black Panther and Benedict Cumberbatch coming on board to play Dr. Strange. Oh, not enough to get you excited? Have some footage of Captain Specimen tearing a log in half while Puny Stark looks on in wonder. I get it. You’re feeling greedy. Marvel assumed that would happen, so they’ve gone and gifted us with the a sneak peek of the Age of Ultron dinner party-vengers and their heaps of worthiness. Of course, we mustn’t forget that said sneak-peek scene was preceded by Agents of SHIELD and their well-written, swift machete stab to the gut with its latest episode, A Fractured House. One week ago, the very foundations of California were shaken by a single, unified fan scream. If you live anywhere near an internet connection, I bet that you felt it too. Seeing as there’s no need to drop the ball on nerd-knowledge just because I was not present, I’ve compiled a list of my favorite bits from the convention. Therefore? 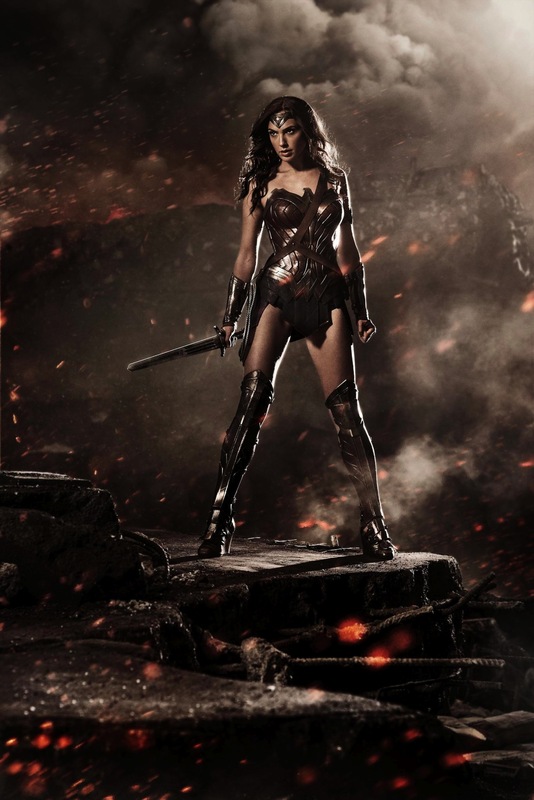 Coming to you from that room of dreams, Hall H, here is some of the best of SDCC 2014. Chris Hardwick, Crown Prince of the nerds (and the person you wish you were), took the selfie to end all selfies with the one and only DC trinity. You’re looking at Batman, Superman, and Wonder Woman posing for a picture taken by Marty McFly. The Avengers: Age of Ultron panel featured a gloriously skilled and surprisingly long table of Avengers, and the angels cheered (though their voices were obscured by those of the hyperventilating fans in the crowd below). 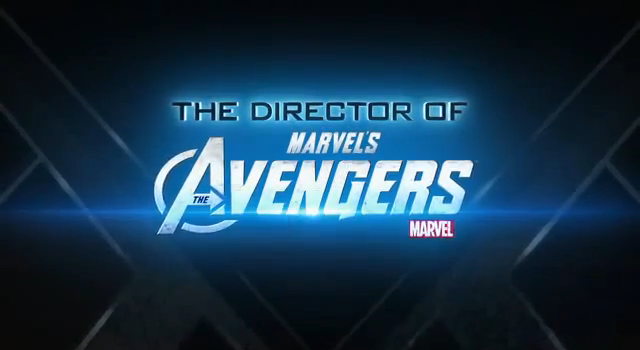 Notable events included Chris Hemsworth’s announcement of intent to turn into the female Thor in an upcoming adaption (“I don’t want to jinx it, but this might be my oscar”), Robert Downey Jr’s gift of roses to the audience and to the lady cast members, and Josh Brolin (or as we know him, Thanos) making a surprise appearance for the sole purpose of fanfare and eating one of Downey’s proffered roses. The Agents of SHIELD panel, (a show which outgrew its name in no more than twenty-two episodes)graced us all by releasing a gag reel. 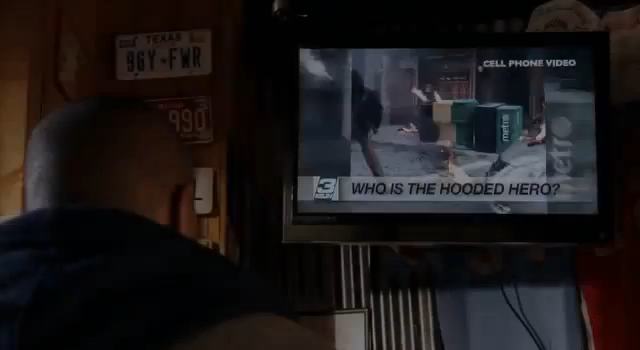 And later, still during the AoS panel, a teaser was shown (not available unless you’re a level seven agent) in which it was revealed that a Bobbi Morse was going to be joining the SHIELD roster. Bobbi Morse? you ask. Wait, Mockingbird? You continue, standing up, your voice getting more frantic and excited. Sweet baby Moses, are you kidding me right now? you scream into the late afternoon sun as you spontaneously sprout wings and take off, startling your friends and family. Hawkeye crossovers aheadddd is the last thing your loved ones hear as you disappear over the horizon. Since you couldn’t be there, Mark Ruffalo took the liberty of acting just like you would have in reaction to the range of celebrities present. Test footage leaked for that movie you want so badly. And of course, we may not forget the fantastically talent-crammed Hobbit: The Battle of the Five Armies panel. Such a long panel, but the highlights as far as I am concerned involved Gollum impressions from Andy Serkis, an expression of interest in a LOTR-flavored museum with original props, and an analysis of how surprisingly attractive Elf ears can be (as if that was news to anyone). I feel like one or two people might want to disagree, but considering that a good chunk of people probably dressed up as the menacing dragon, it seems a fair enough remark. It takes all kinds at SDCC, so obviously there was much more to the convention; but these have been the parts that got me in the send-all-caps-texts-to-everyone-in-your-contact-list mood. Pretty apparently, I didn’t make it this year. Maybe you didn’t either, if you felt compelled to come here to learn these things. We didn’t make it this time. That’s okay. 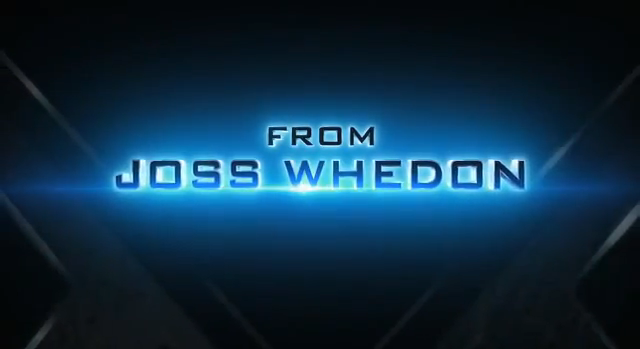 Not even Joss Whedon went this year. It’s okay to skip every now and then. But let’s not make it a habit. See you next year, fanpeople. You’re on the internet during the San Diego Comic-Con week. Hey, me too. I feel you. We’re on the outside, peeking in through the proverbial window. Think of all the people right now, sweating out of their larger-than-life cosplays and screaming to each other about that teaser that they just saw that you will not see for nine more months. Think of them and let that tear slide down your cheek. Pull yourself together. You know what you need? A diversion. As a life-long expert on the topic of hijacking conversations, changing subjects, and general denial, I’ve come today to try to distract you. To help you get your mind off those pesky voices whispering, “people have been able to touch Chris Evans today,” and “Hundreds of people are within earshot of Cecil Baldwin right now” while you’re trying to get work done. I recommend some form of working with your hands. 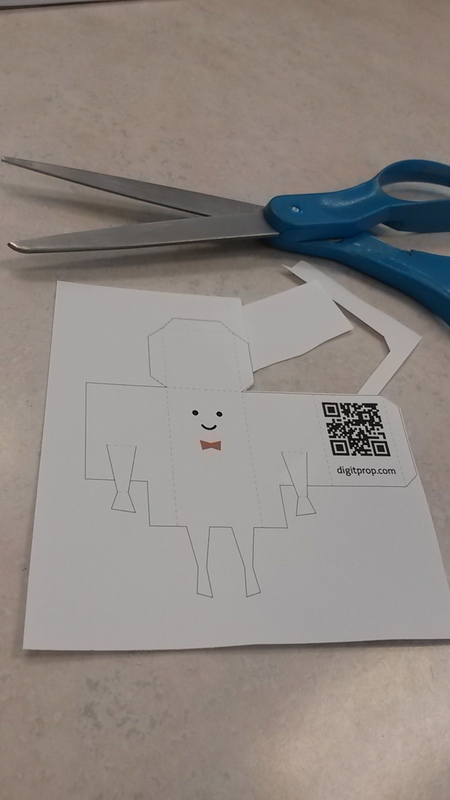 An especially easy paper craft would be downloading and printing out some of the adorable free printable mascots over at Digitprop. I’ll walk you through it. 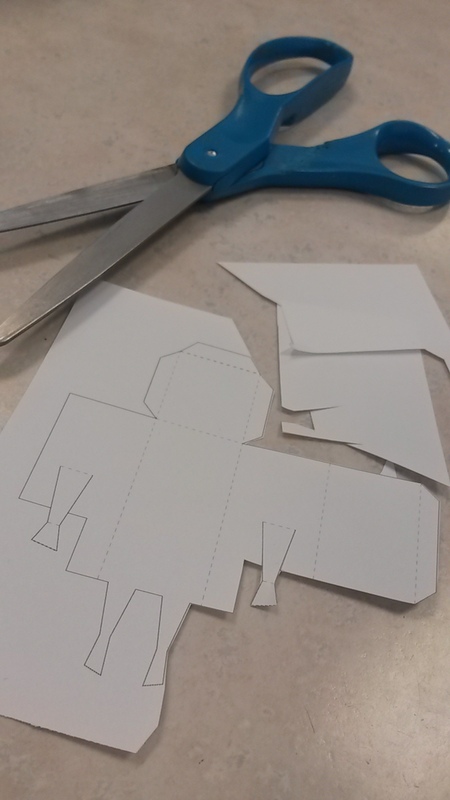 Step One: Start by cutting around the little man. 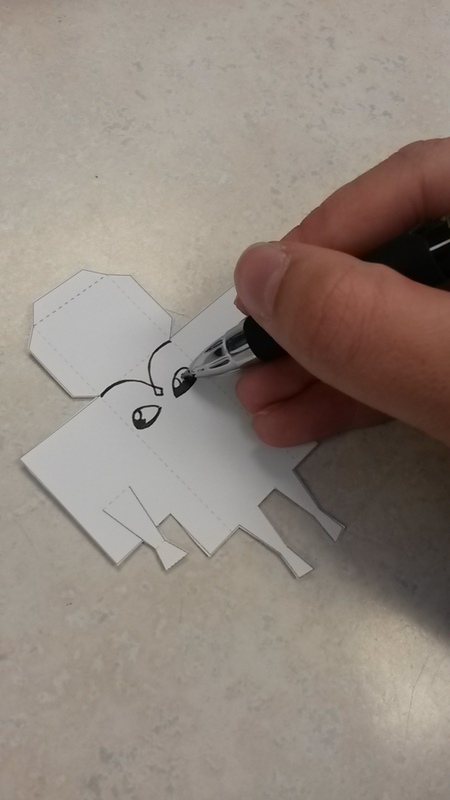 Only cut on the bold lines, the dotted lines are to be folded. Step Two: Stick indicated sides together to make the shape of the man. Tape, glue, or really, any mild adhesive will do. 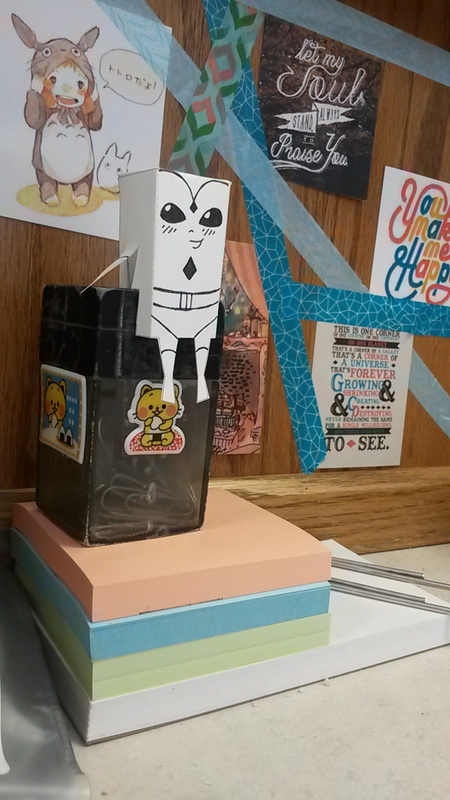 I actually used an envelope sealer because I have so undeniably hit rock bottom. But we’re not here to talk about that. We’re here specifically to not talk about that. Optional Step: If needed, intensify folding by singing death metal to drown out the sound of cheering coming from the general direction of San Diego. Step Three: Admire your new mascot. Well done! You were almost productive today! 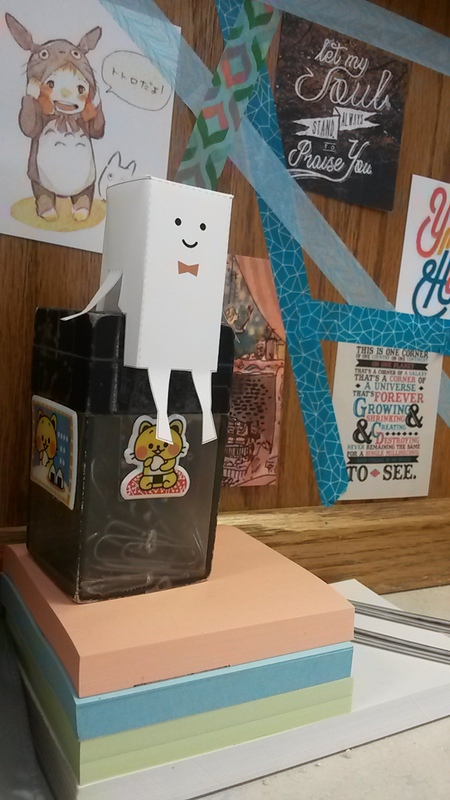 Try not to notice that your little paper friend looks like an adipose. Try even harder not to notice that he has a bowtie, much like a whole different type of alien whom you’ll never get to see at a Comic-Con again. Step Four: Give up. Print out the blank printable instead, to create a parchment pal who won’t loaf around on your desk looking like a cheap piece of Comic-Con merch. Step Five: Cut out new blank printable. Step Six: Decide who you would like to be your new mascot and draw their likeness on your beautiful blank canvas. Be creative! Maybe create a new person altogether, someone with his or her own hopes and dreams. Someone unique, like you. Step Seven: Did you just make the Vision? Step Nine: Give him a cape. 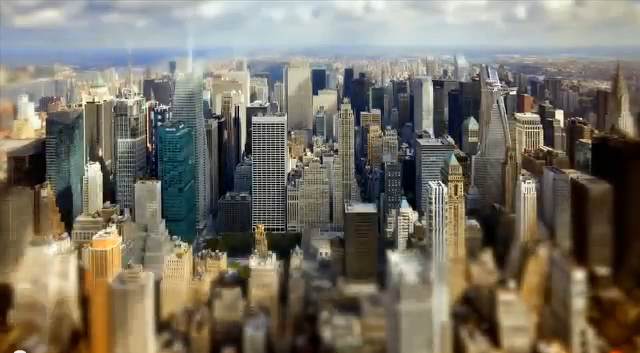 The first trailer for The Amazing Spider-Man 2 came out a whole day ago. Ample time to watch it until you still see it when you close your eyes, don’t you think? Well, if you haven’t quite reached that point, then here’s to getting started (click here for the trailer), and now begins yet another breakdown. Everyone knows you’re not Spider-man until you brood in a graveyard. This is a big moment. Whoa, whoa, whoa, did they just make the Rhino look good? Slow clap, Sony. You earned it. I don’t know who that is yet, but he looks cool too. Movie’s on a roll. Haha, power, I get it. Get it? Power? People are being electrocuted. Oh please, you know Spider-Pun’s gonna do some rendition of that joke. Tobey Maguire during the greasy Venom stage? Aaaand, that’s how a truly subtle screenwriter introduces a character. Welcome to the franchise Harry! Again. “You’re gonna wanna see this. Good call. I always want to see touch-screen desks. But seriously, when are those getting invented? Okay, just for a moment here, I know this guy’s the bad guy, but can we please appreciate the fact that his eyes are Legolas blue? Can we do that? You’re totally one to talk about secrets, freaking Spider-man. Oh, also, can we talk about his Sherlockian case map in the background? And is it really necessary for there to be four pictures of his girlfriend on it? I hope he’s at least changed his desktop background. That boy needs a hobby. You’re kind of stingy about these things, aren’t you? 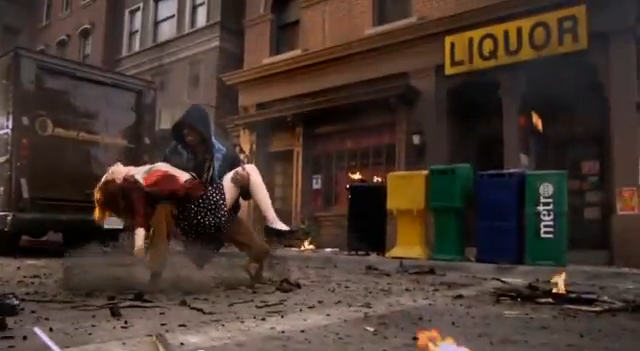 You know, the main reason I don’t have superheroes in my town is probably that we don’t have subways. Those things are magnets for fictional characters. “My name is Richard Parker. I have discovered what Oscorp was going to use my research for. The future has found more ways to utilize electric eels than I originally thought it would. It’s time to stop metaphorically changing the world, guys. Greasy-venom-stage Tobey says so. WAIT NO STOP How many villains are even in this movie? Weren’t we chums with Peter forty seconds ago? I’ll take that as a no. Look at that, that’s no movie scene, that’s like a magnificent comic book splash page. My name is Barack Obama, and I approve of this shot. Would you say it has more power? AhahahahaWHOA son when did Electro turn into a jellyfish? A really powerful jellyfish, I concede. Also starring: Peter Parker’s stellar taste in music. I apologize for the bad quality, but everyone needs to see this ridiculously classic move. Wait! I know this one! Just throw an inflatable life raft over the hole, right? That’ll fix the problem! It’s okay; bask in the gorgeous for as long as you need to. I know I say this about pretty much every movie I break down, but oh MAN, this really looks magnificent. Understandable. Does he finally realize he wasn’t invited to the Avengers? Everyone loves autumn. Leaves changing, sweaters rejoicing in their renewed employment, pumpkin spice being added to everything you’ve ever considered eating, and television shows reminding you that you will probably not have evening plans ever again (or at least not for the remainder of the season). 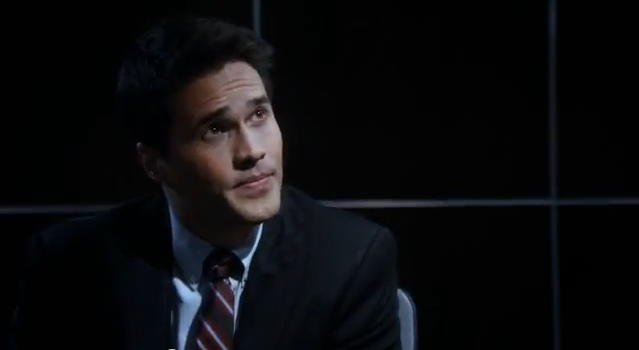 Speaking of which, I watched the Agents of SHIELD pilot last night. This is not a proper review, but it is certainly not spoiler-free, so if you’re planning on watching it with a clean slate, I’d suggest abandoning the internet (including this post) entirely until you do. The most looked-forward to bit of this episode was probably Phil Coulson, in case you hadn’t guessed by his Captain America-esque pose at the forefront of the group. Look at him. He’s just so… not dead. 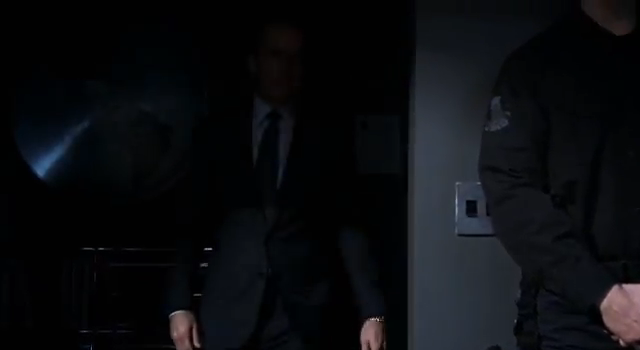 As most of you will remember, Agent Coulson died in The Avengers. 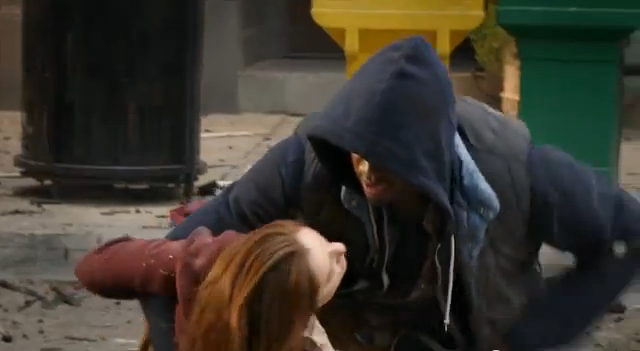 Like, there-was-no-way-he-could-have-survived dead. 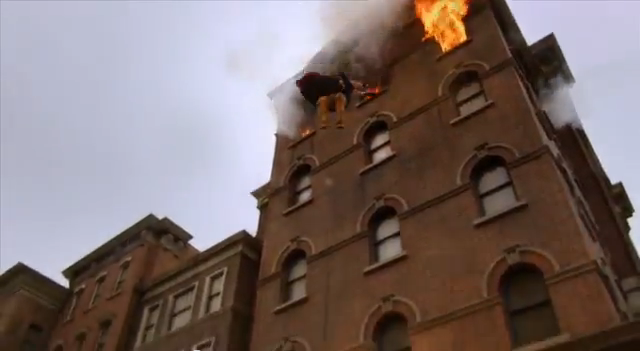 One of the myriad reasons I watched this pilot was to find out how he survived. I had a theory, of course. 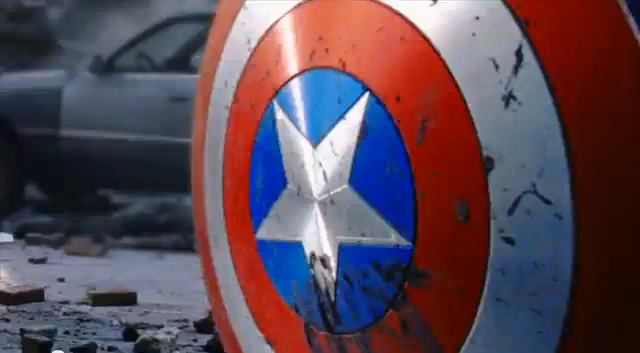 SHIELD from the Marvel comics had, and regularly used, robots they called “life-model-decoys.” (Tony Stark references them in the first twenty minutes of The Avengers) They were basically super-duper-realistic copies of real people, and they were used to do things that real people didn’t want to do. 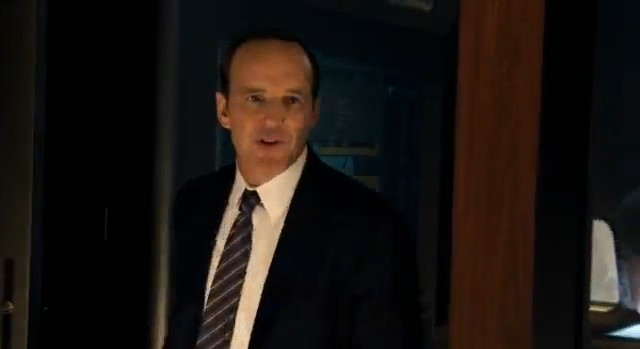 I figured that dead Phil Coulson was really not-even-alive-in-the-first-place Phil Coulson. So I watched the pilot to see if I was right. And for the first ten minutes, I was treated only to Phil’s cute little comments about being dead. Also vacationing in Tahiti. I squirmed. 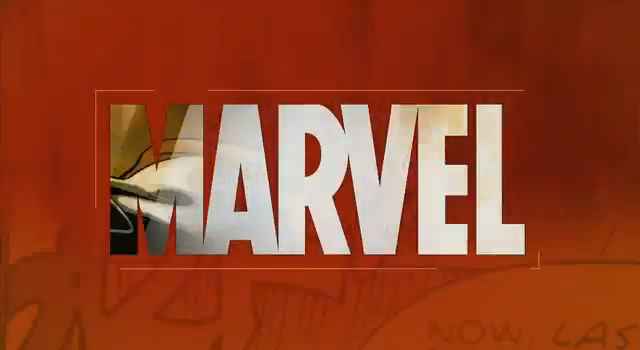 Come on, Marvel, you know your fans; you can’t seriously think that we’re going to let this go with no explanation. When Agent Maria Hill uttered those four words, I let out a noise that, looking back, probably wasn’t necessary, nor comforting to my mum, who was sitting behind me, and I suspect, giving me weird looks. But anyway, the noise was because I had thought about the possibility of Loki skewering life-model-decoy Phil. I had not thought of the possibility of Loki skewering real life Phil, and SHIELD replacing him with life-model-decoy Phil who believes he’s real life Phil. Pandorica-Rory style. I see what you did there, Marvel. 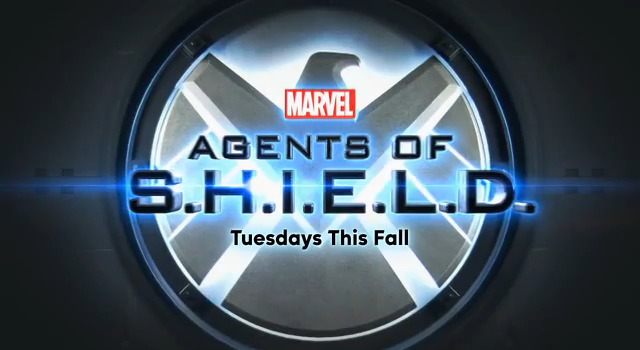 Now that I’ve seen the pilot, I’ve learned a few things since I did the Agents of SHIELD trailer breakdown a few months ago. The dude I used to know as Ultimate Spider-Man is actually Mike Peterson, and the young woman I’d dubbed “Covergirl” is named Sky. Or is she? Another thing I guess we’ll discover in later episodes. 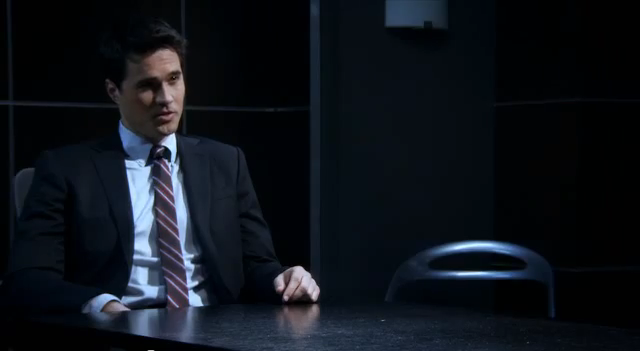 Speaking of Sky, she and agent Ward managed to set themselves up for, at the very least, merciless shipping, and at most, a canonical office romance. Nothing ignites the flame like a little hostility on first meeting, right? I mean, I’ve seen television. I know how this works. And even if they don’t become a thing, which is totally okay and even a little groundbreaking, considering the played-out nature of most TV romances, you have to admit that “Skyward” is probably the most intensely magnificent ship name ever. Another thing you should know about Sky is that she has been a cosplayer, a fact discovered while the intense Agent Ward was being a jerk to her in the interrogation room. The plot itself, which I have barely mentioned yet (this is why I’m not a review blog), mainly consisted of Mike Peterson and his struggle with his superpowers, given to him by a serum-wielding doctor whose intentions and background were rather foggy (don’t do drugs, kids). ^ This character went from zero to self-aware in twenty minutes. Ambitious. In case you were worried, the agents of SHIELD got to him before he blew up and everyone went home happy. 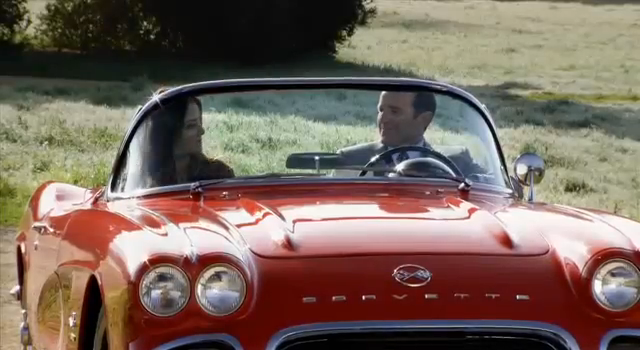 Sky, not actually an agent, was even invited into the fold at the end of the episode, as Agent Phil Coulson took her for a drive in Lola, the most beautiful vehicle to grace my screen for a long while. 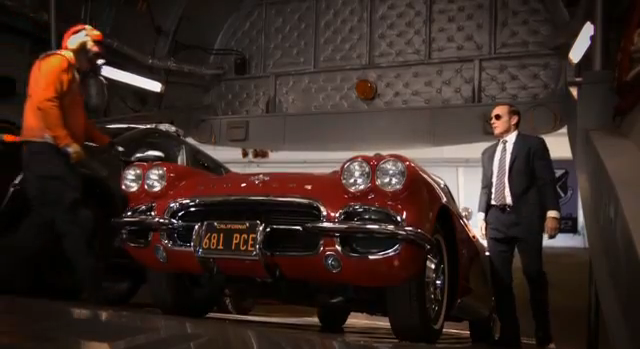 The show ended with Phil Coulson getting a call about an “O-83.” Sky spoke for us all and asked what that meant. With a smile, Coulson turned to Sky and told her she had ten minutes to decide if she really wanted to know. Sky, the rookie, expressed her skepticism that Lola could get them anywhere in just ten minutes. 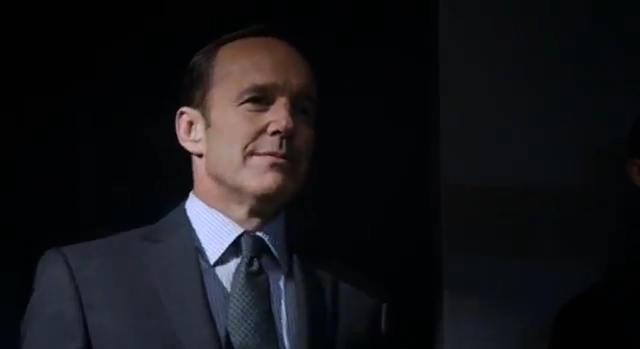 Possibly-life-model-decoy Coulson smirked and flicked a switch. I will sometimes complain about cheesiness, but truth is, as Lola purred to life and her tires turned outwards and propelled her off the ground Back-to-the-Future style, I smiled. Okay. Flying cars. Why should that be harder to swallow than flying humans? And it’s an O-83, after all. Where they’re going, they don’t need roads. Two days ago, the official trailer for Robocop was released. This movie is a remake of the 1987 film (also called Robocop, rated R), the movie that set the standard for cheesy action figure wardrobe designs. The jury is still out on whether this remake movie is a brilliant idea or a terrible one, and you’re welcome to form your own opinion. As it turns out though, I’ve realized that so far, I’ve only done trailer breakdowns for movies/shows that I’m excited about. That seems rather discriminatory. I’m an equal-opportunities blogger, after all. 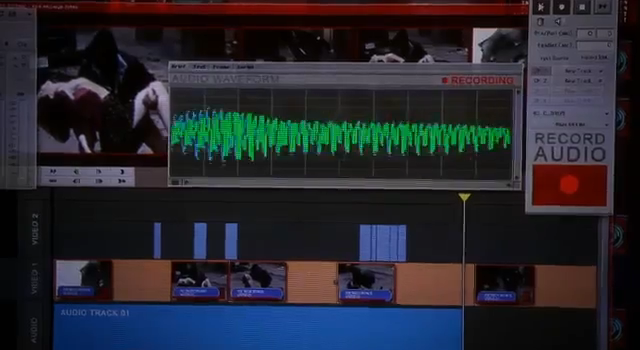 It’s time to analyze Robocop. Fifteen years. 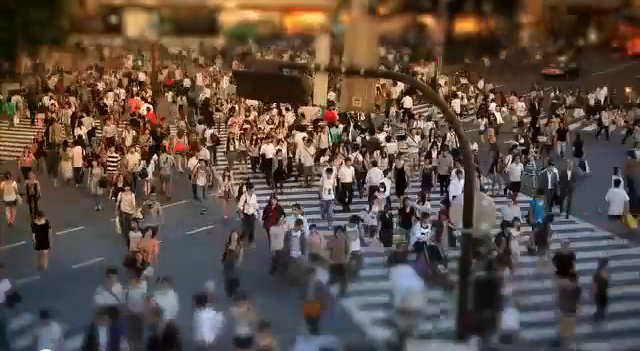 Fifteen years, and the world looks nothing like it did in Disney’s Meet the Robinsons. What a disappointment. I’m sorry, that was unintentionally insensitive of me. Nick Fury! Okay, I can get behind that. Robocop: Starring the tech from the Iron Man movies. And Nick Fury from the Iron Man movies. You know what this movie needs? Iron Man from the Iron Man movies. We interrupt this set-up to bring you uneasy happiness. What a sweet family. I’m glad they’re so happy and safe and secure in their future. Get it under control, man. People are trying to sleep here. Is this your first car? Listen, just hit the unlock button on your key. It works wonders. I’m being very insensitive today. Please excuse me. What an original idea. I’m sure it couldn’t go wrong. Hospitals in 2028 get far less efficient in their use of space, apparently. Have I seen this scene before? 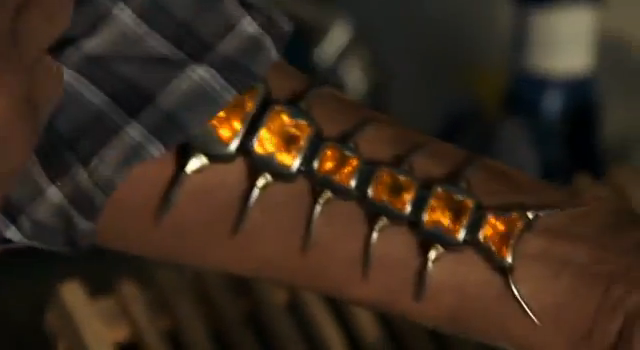 Oh, you know, made you into a cyborg. The balding dude behind the desk thought it was a great idea. I don’t know why you’re so upset. Oh, you like that visor? It’s triggered by murderous thoughts. I thought it was a nice touch. Good call, balding dude. The gray suit was way too frilly. No one would have taken him seriously. My main problem with future-based movies is that every character seems to have never seen a future-based movie. Detroit goes waaay downhill in the next fifteen years, everyone. Spread the word. Nick Fury, darling. You’re better than this. Go go gadget heat vision! I hate to be nitpicky (that’s a lie), but I’m of the opinion that no movie with the prefix “robo” should have been allowed to come out after 1999. MGM and Columbia Pictures, I believe. I’m sorry, Robocop, does your suit spontaneously generate weapons? On an unrelated note, what do I have to do to get my car to blow up? Can’t we all just get along? I know plenty of perfectly happy cyborgs. Again with the whole “I’ve-never-seen-a-movie-before” thing. Do I see something exploding? How did the movie industry know I liked that? Something else exploding! Can I pre-order my ticket now? Oh wait, that’s not right. Sorry about that little mix-up there. At least it’s not in 3D. A little while back, I was mindlessly scrolling through tumblr, when I stumbled upon a strange image. It was a young man with a bar stool on his head. 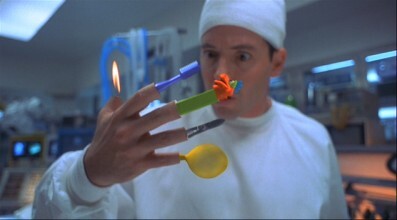 In one hand, he held a whisk, and in the other, a plunger. You know how he looks to normal people? This dude looks stark raving mad. Now picture this type of person, fully insane and loving it, and multiply it by (give or take) 130,000. Just for kicks, give them all money to burn and take away any semblance of will power they thought they had. Got it? Good. Now put all of them in the same convention center in a little town called San Diego. Hello, Comic-Con. The 2013 San Diego Comic-Con ended last Sunday after four days of fangirls and fanboys cosplaying, trailer-watching, panel-visiting, line-standing, and a gloriously unhealthy amount of screaming. I did not attend, but I was as present as I could be without utilizing money and gas to be “there” in the physical sense. From my remote location, I learned a few things about this year’s SDCC. So… no? Just say no. Stop allowing my hopes to exist. The new Catching Fire trailer aired and was released to the public. Watch it over and over here. There would have been a Catching Fire trailer breakdown post, but there’s already been one trailer released, and as my breakdown dialogue would have been made up of all-caps declarations of love for this film and its characters, it would have gotten real weird real fast. And my posts are never weird. 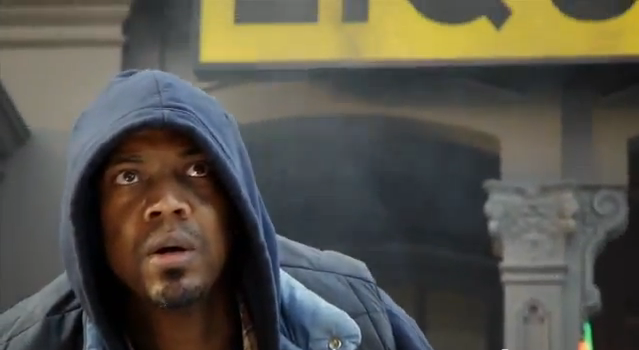 The Doctor Who 50th Anniversary trailer was shown exclusively to the comic-con audience. Said trailer was then denied internet release for a few weeks. Or months. Remember, these are the same people who still haven’t given you season three of Sherlock. Season four of Sherlock was confirmed. Cool, guys. I’ll just pencil that in for 2021. Loki of Asgard gate-crashed the Thor: The Dark World panel and raised his army from a seemingly innocent crowd of by-standers. And every Hiddlestoner there died instantaneously. I’m only kind of exaggerating. Watch the way-too-easy take-over here. 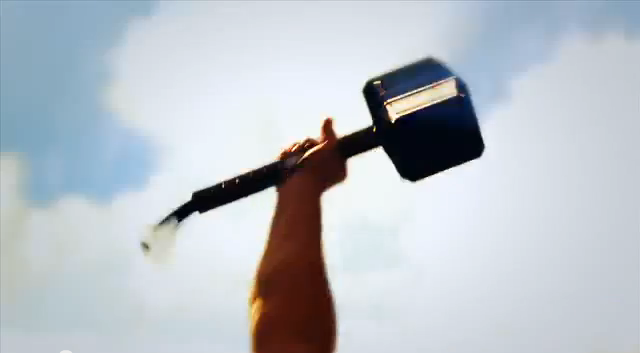 The title of Avengers 2 was made public. 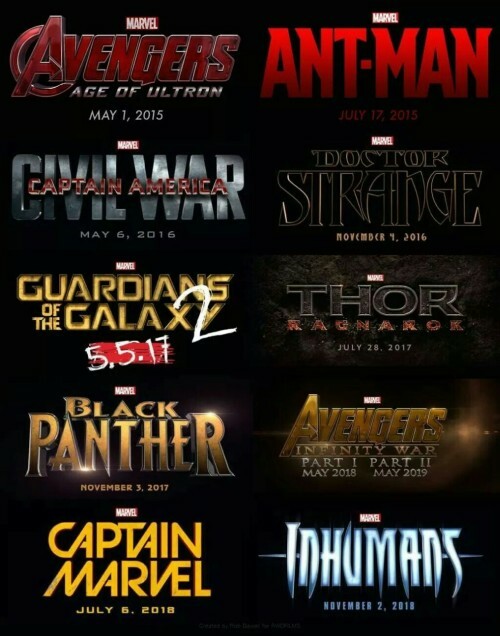 The year 2015 will see the release of The Avengers: Age of Ultron. 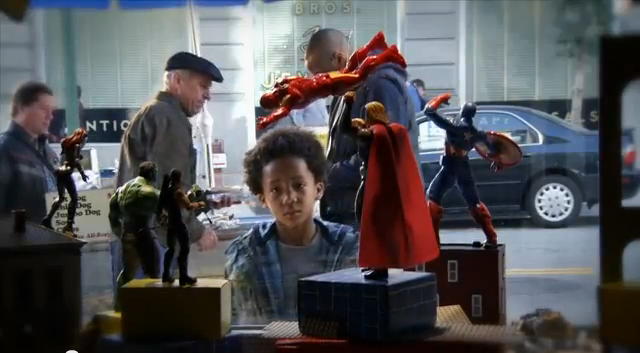 Joss Whedon confirmed that Henry Pym would not be part of Ultron’s origin story. These are just a few highlights from the biggest nerd party in the country. I didn’t attend, and maybe you didn’t either. That’s fine! It’s nothing to be ashamed of, and hey, you can get most of the details on the internet anyway. We didn’t make it this time. That’s okay. There are a lot of careers out there. There are some I’m suited for, and way more that I am most definitely not. But I’ll never know unless I scope them out, right? Today, I’m looking at some of the careers I’ve been very interested in as of late. Upside: I can be scary. And the weird part of my head quite likes the idea of sneaking around and screaming at people while they’re asleep. Downside: The normal part of my head is very ashamed that the weird part just wrote that down. Also, I would apologize profusely to the kids I scare. And if an adorable little girl followed me out of her room, I would probably play with her and be promptly fired. Editor of The Hitchhiker’s Guide to the Galaxy. Upside: Adventure. Interesting people (and other… beings). Universal travel. The chance to help countless generations after me to do the same (for less than 30 Altairian dollars a day). Downside: High possibility of getting stranded on mostly harmless (but boring) planets. One of the more dangerous and unpredictable careers I could choose. It’s very improbable that a human could land it anyway. But hey, more improbable things have happened, yeah? Upside: Travel, adventure, and discovery. Witty banter dished out liberally on a daily basis. Flirting in the workplace is practically encouraged. Loose code of conduct allows me to mess up, get fired, and get re-hired immediately if I endear myself to commanders beforehand. Downside: There are definite reasons as to why no man has ever boldly gone where I’m going. And I will probably find out the hard way. Upside: My job is saving the world. What better job description can you get? 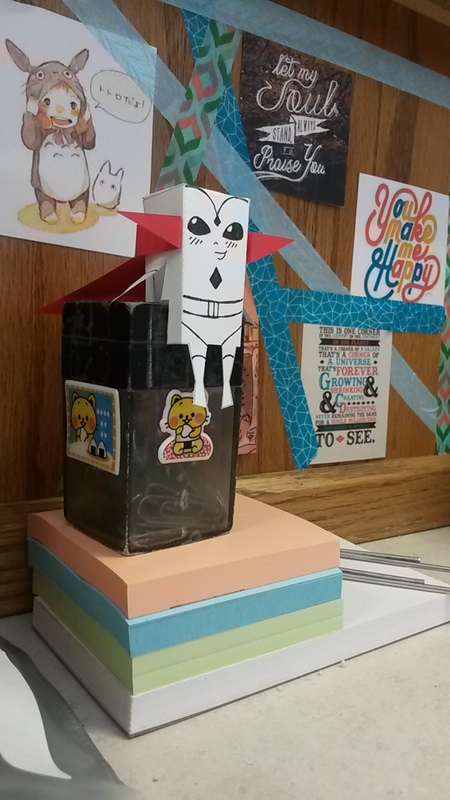 Also, my co-workers are entertaining, interesting, and occasionally mythical. Very few careers promise that. Also? SHAWARMA. Downside: Paparazzi. Being constantly starstruck by co-workers. Possibility of dying with each workday, and the pressure of being a “superhero.” PTSD and anxiety attacks have been common in this line of work. Upside: The ultra-intelligence needed to allow me to fit in to this career allows me to figure everyone out, all day every day. I can tell what’s on people’s minds, and I can work that to my advantage. Also: being arrogant is in my job description, and I am my own boss. The police let me know when they need me, and I let them know when they can have me. Downside: That ultra-intelligence I mentioned would take a very long time to gather, and while I’m not bashing my own intellect, let’s just say I cannot tell a computer programmer by his tie. Another con would be that serial killers are always trying to murder me. As diverting as I’m sure it is, it is rather inconvenient for my long-term plan (living). And I would have no friends. Well, maybe one. I can tell that this is going to take me a little time. After all, choosing a career is nothing to take lightly. I’m sure I missed a couple fiction-based occupations, so be sure to let me know if any of you have something in mind! Have a day full of literal and metaphorical sunshine, and I wish you all the best of luck with your endeavors, fictional and otherwise. 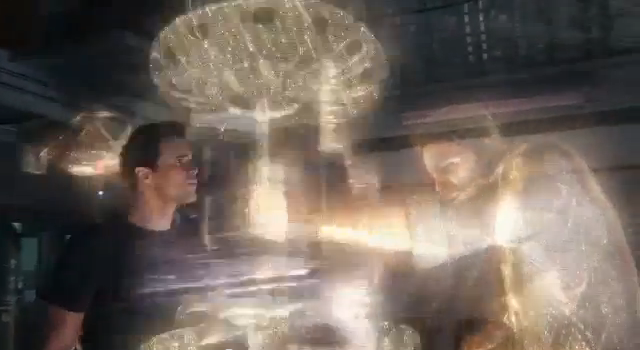 Trailer Breakdown of Agents of S.H.I.E.L.D. Hello, people of the internet. Have you recently found yourself thinking, “I need to watch more television”? 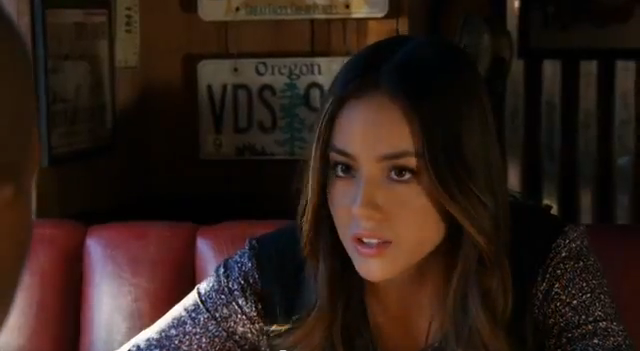 Twenty-two hours ago marked the release of the official Agents of SHIELD trailer. For those of you have seen it and have begun marking their calendars (at this point, just circling the entirety of all the Tuesdays in fall), it’s clear that it is now time to take a closer look at this preview. Let’s begin. 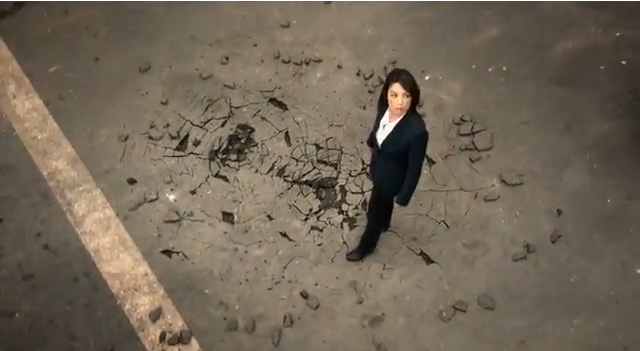 Agents of SHIELD || Starring: instagram filters and stock footage. You haven’t seen that shot before. Uh-uh. NEVER. Did you hear that? It was the sound of action figure sales skyrocketing. It may also have been the sound of me playing with action figures. If you don’t get enthralled or even mildly interested when this sequence begins, then I don’t get you. If you were looking for a reason to like this enigmatic character, you just found it. Was that a lead-in? It sounded like a lead-in. And the people rejoiced. Welcome home, Phil. 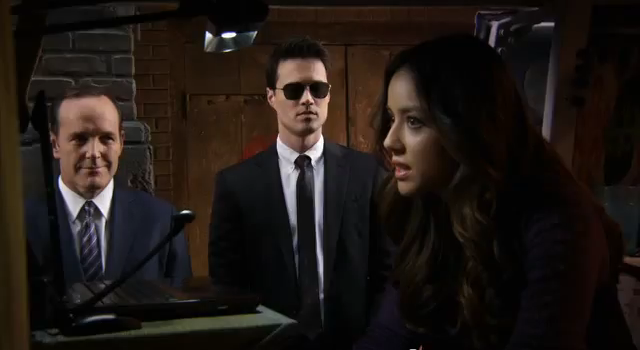 (I need someone to say “Uh, his name is Agent.” Any takers? Yes, thank you.) I should mention at this point that if you don’t say anything resentful about your ruined Captain America trading cards, you run the risk of letting everyone down. Ultimate Spider-Man who left his suit at the cleaner’s and webbing at home? Agents of SHIELD || Also starring: Captain Obvious. Yeah, we know who he is. Oh, hello again, unequipped Ultimate Spider-Man. Don’t get carried away being too descriptive, covergirl. Apparently, SHIELD’s radar is not one you want to be on. Is that covergirl again? I should probably find out her name. 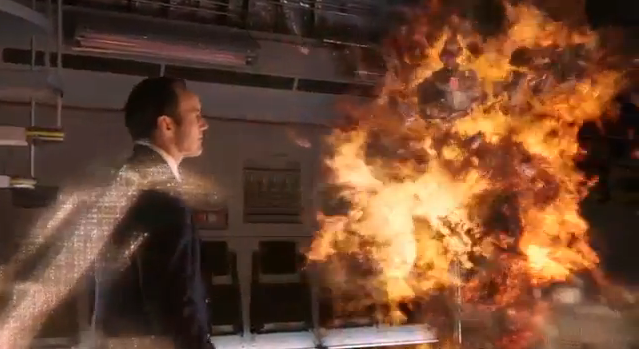 Covergirl, you’re dealing with Agent Coulson. Leave some room for error in your predictions about being stopped. He will tase you and watch supernanny while you- oh, wait, nevermind. Cut to BFF scene. 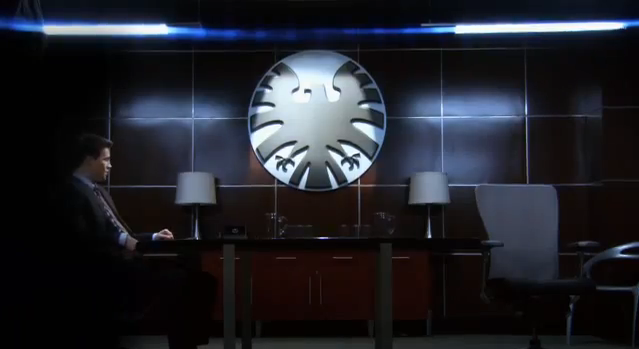 Covergirl and Coulson. I like it. However, I would like even more to know this woman’s name. Or this guy’s name. Anyone’s name would be great. I admit, I’ve not read very many SHIELD comics, so I am a little lost. Yeah, Simmons. 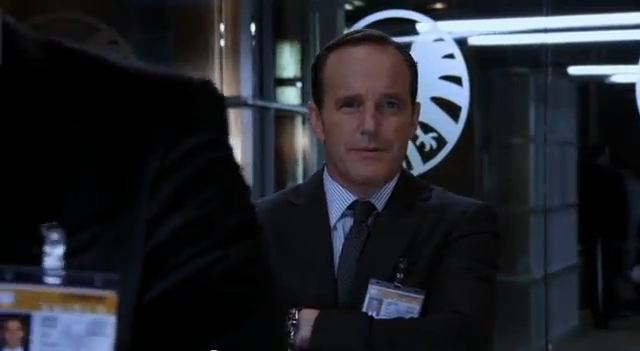 Lest we forget: Agent Phil Coulson. Annoy this man, and he will tase you and watch supernanny while you drool on the carpet. In case you were losing interest. Jennifer and I turned and shared a look. Fangirls cannot exist by themselves. We are not lone wolves. 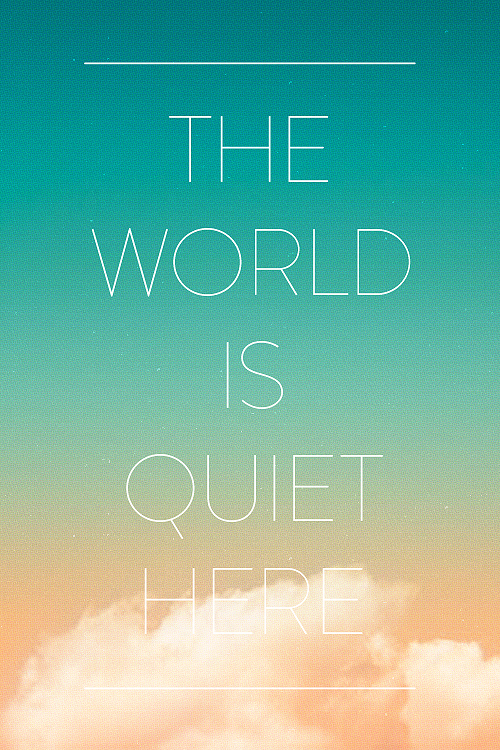 Many of us are introverts, and therefore not exactly pack animals, but alone, we wilt. If I didn’t have my Fangirl friends to support me, I would keep every well-placed Disney quote to myself, and I would never be able to squeal without shame over Mr. Darcy’s face. I would not know the pleasure of being able to share a knowing look with a companion when someone said the word “spoilers” and I would certainly never be able to yell “You’re such an idiot! You’ve been Loki’d again! LOKI’D!” in someone’s face without being carried away by security guards. This is one of the reasons that my friends are the best friends. They not only put up with me, they go along with me. Phoenix (Yes, I nicknamed my friends with superhero identities. Don’t judge) dressed up as Amy Pond for Halloween, and I dressed as River Song. Invisible Woman and Wasp sang “Dramatic Song” with me at the top of our lungs (in public) with no shame and all splendor. One of my favorite moments this year. I could go on [forever], but I don’t want you all to get massively jealous. Many of you are my people too, after all, and I love you guys. And I love my friends. Yes, of course, even the ones that aren’t Fangirls. Love. That’s why it’s so unfortunate that I don’t let them know how smashing they are more often. I find, and I don’t think I’m the only one that does, that it’s pretty darn easy to take friends for granted. They’ve been with me through so much, that I tend to think that they have no choice but to go on that way – but they do. The fact that they haven’t abandoned me yet is cause for celebration in itself. The friends who I have not kept as well, I miss, but the ones I have? It is harder to remember to cherish them. If anyone doesn’t consider themselves a nerd and yet is still reading my blog (my my, how brave of you! ), I they as well know what I’m talking about. This is not a problem exclusive to me, nor to nerds. Even if you don’t have conversations with friends that consist mainly of pop culture references, you still have friends that are precious. So let them know! Write a letter (handwritten – don’t cheat) or meet for tea or plan a Marvel Movie Marathon day. Okay, so that one is a bit more exclusive to nerds again, but hey, work with me here. I was totally normal for about five seconds. Small victories! That said, I have to go write a letter.